Better than new! Very spacious home with room for everyone inside and out. This Cape Cod offers: wood floors, dining room, master bedroom on the main floor, jetted tub, granite, tile flooring, walk-in closets, laundry area, pantry. Bonus room over garage leads to the outside. Perfect home office or in-laws suite; family room with built-in bookcases. 2 rooms being used in the basement for a total of 5 bedrooms. large deck, gazebo, above ground pool - the backyard offers plenty of fun! See agent notes for showing instructions. Direction: Hwy 62 turn right on Bent Creek, right on Cold Creek Court (house is on the right). 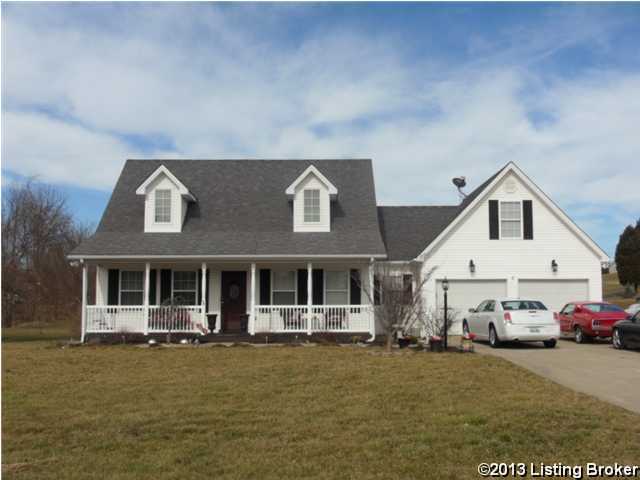 156 S Cold Creek Ct, Elizabethtown KY 42701 is a Home, with 3 bedrooms which is recently sold, it has 2,894 sqft, 0 sized lot, and 2 Car Garage,Attached,Entry Front parking. A comparable Other, has bedrooms and 0 baths, it was built in and is located at and for sale by its owner at $ 0. This home is located in the city of , in zip code , this County Other, it is in the Subdivision, and BRIGHT SIDE ESTATES are nearby neighborhoods.